Are you pulling your hair out trying to market your content on your own? It’s quite a big undertaking – that’s why you shouldn’t do it. Whoa now… I didn’t mean you should give up on marketing your business online. What I mean is you should never work by yourself. You know that promoting your business using useful website content and social media is a great way to build your audience and generate more customers at a relatively low cost. What you may often neglect is the awesome opportunity to boost your audience size even more by working with content marketing partners. 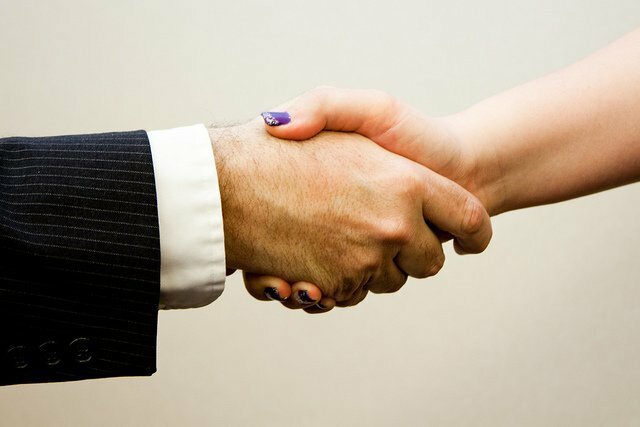 What is a content marketing partner? A content marketing partner is another business in your industry you exchange relevant content with in exchange for mutually beneficial backlinks. It’s a partnership that will expose your name and brand to their audience and the other way around, building your collective authority as experts in your chosen fields. It’s important to find these content marketing partners, but you may be wondering how. 1. Determine your most valuable, relevant, opportunistic keywords. When finding your content marketing partners, you have to start with the foundation of all content marketing – keywords. Keywords can make or break your efforts. Focusing on general keywords gets you lost in the shuffle. Focusing on irrelevant keywords attracts the wrong audience or sometimes found at all. You’ll use these keywords in your article content and social media posts to attract visitors (both customers and partners) to your website. Think of your content marketing strategy as a flower: The keywords are the roots and your content is the irresistible nectar that Google’s Hummingbird just can’t resist. It will lap it up and distribute it to all the relevant parties. Here’s a more in-depth guide explaining how to find great keywords for your content marketing. Once you have your top 25, it’s time to move on to step number two. 2. Search for these keywords using Google’s Blog Search. Now that you have your best keywords, it’s time to put on your sleuth hat, Sherlock. We’re going on a hunt to find your perfect content marketing partners. Let’s say that your business is selling custom, personalized sunglasses through an e-commerce store. You might have discovered some valuable keywords like “fully customized sunglasses”, “personalized sunglasses for the beach”, and “3 hot summer sunglasses to fit your style”. Take each of those keywords and search for them independently in Google’s Blog Search. The Blog Search offers full-blown blog and feed search capabilities. Using this search tool will give you a list of the most relevant blogs and feeds for each query. Write down the top 10 for each keyword. 3. Find the top 10 most authoritative websites. After you conduct the search for each keyword, you’ll need to find out how authoritative each of the websites are. It’s always better to get backlinks from websites that have more authority as they’re more credible in the eyes of the search engines and they have larger audiences. A great place to start when looking for the authority of a page is the Google PageRank. Copy and paste each of the domain names from the top 10 organic search results into a PageRank checker like http://multipagerank.com/. Take the top one or two with the highest PageRank and mark them as “to read”. These are your top potential content marketing partners. Once you have your top 10 most authoritative websites that your audience would love, move on to the next step. 4. Get familiar with the 10 websites you select. Now that you have your top partners list, you have to really understand their tone, style, and content before you reach out. The co-marketing process is a lot like a sales process. If you’re unfamiliar with the author, their business, their audience, and their needs, there’s no way they’re going to give you the time of day. You must do your research. Read at least 5 recent posts on each of these potential partners’ websites. Take notes. What is the overall tone of the articles? How long are they? Do you see comments and social engagement with the posts? Do you see any posts from guest authors? Could you see your content being featured on their website? If you see articles that are spammy or poorly-written, you don’t want to be featured there. This due diligence will allow you to narrow down your list even more so that you have a short list of 5-10 highly targeted content marketing partners. 5. Begin to develop relationships with these content marketing partners. It’s a great idea to follow these partners on social media, subscribe to their RSS feeds, and start interacting with them through comments, questions, retweets, and other messages. I highly recommend this because a warm lead is always better than a cold one. Once you have built up some rapport, go ahead reach out each partner individually and pitch 3-5 unique article topics based on your research. In your message, explain the benefits both the partner and their audience will get once your content is published on their site. They should know that more relevant, optimized content is always great for attracting more qualified visitors to their website, plus they’ll get your content for free (posts typically cost at least $50 from professional copywriters depending on quality and length). Even the best websites still struggle to find great content, so if you can offer something their audience wants, they are more than likely going to be open to a partnership. Some will accept your offer, some will not. That’s the nature of this process. Keep at it. Make sure that once your articles are published they have good formatting and contain a link back to your own website. Before you know it, you’ll be publishing your guest content on relevant industry websites, publishing your content marketing partners’ content on your own website, building your authority, and establishing yourself amongst your new audience. This will results in more qualified traffic and customers through your own website. Do these 5 steps feel like too much work? There is an even easier way to find your perfect content marketing partners. BoostSuite analyzes all your keywords to determine the best ones for your content marketing, connects you to thousands of content marketing partners you never knew you had, and builds relevant inbound links to your website automatically instead of doing it manually. There are certainly other tactics you can use when trying to find your perfect content marketing partners. Do you have any useful ideas to share? We’d love to hear them. Ryan Kettler is Director of Communications for BoostSuite; the collaborative marketing tool for small businesses. Ryan is a content marketing zealot, sports fanatic, devoted runner, avid golfer, beer connoisseur, and live music enthusiast. He can oft be found running 5ks, sampling IPAs, and cheering on his North Carolina State Wolfpack.